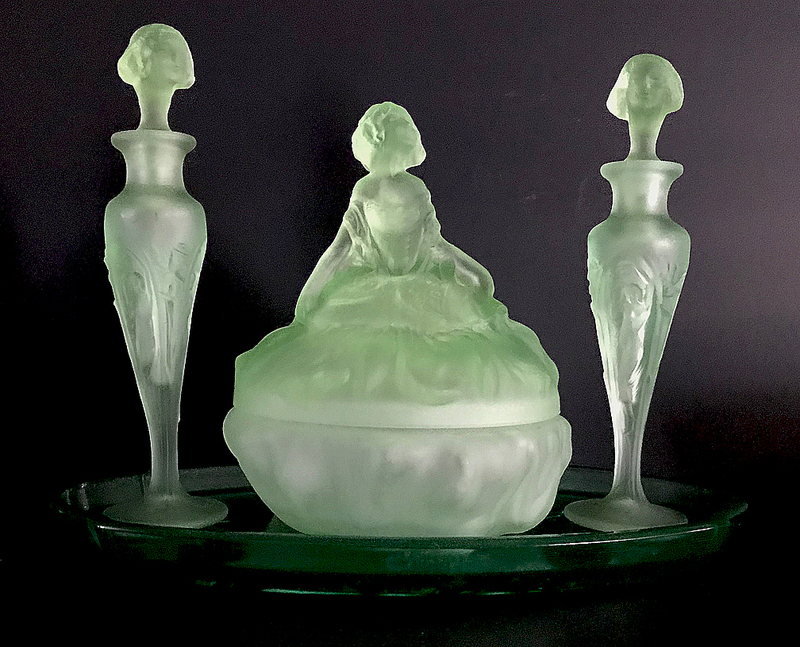 When it comes to vanity items made from the mid 1920's through the Depression Era, Tiffin / U S Glass made some of the finest pieces. 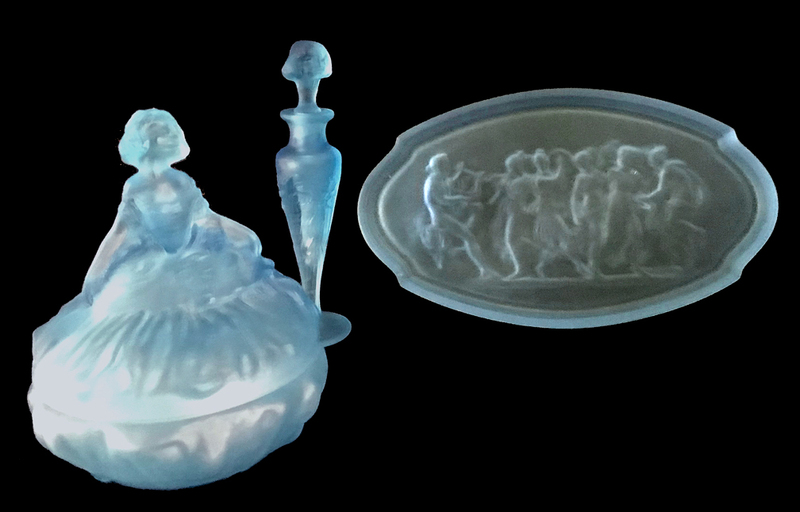 These companies designed and made quite a few interesting perfume bottles and vanity sets. Below are some of the many of the vanity items that Tiffin produced. 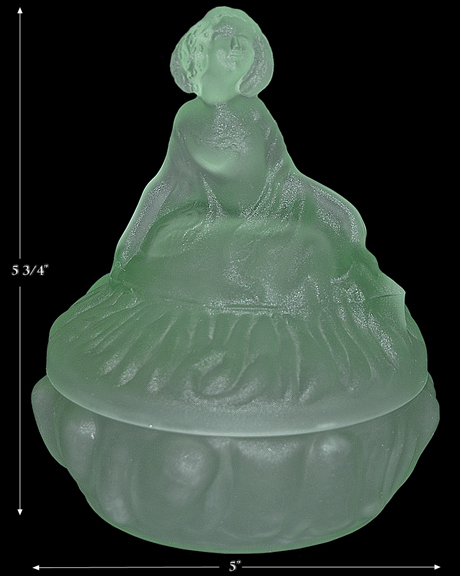 The Tiffin factory of the U. S. Glass Company produced this "Dancing Girl" powder jar. 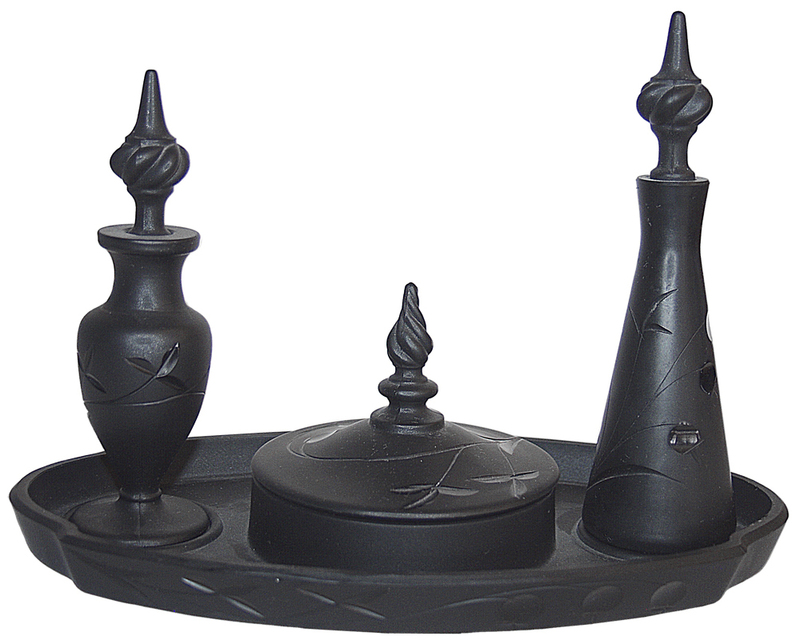 It was often sold as a stand alone piece and not as part of a vanity set. It is similar to the "Curtsy" powder jar which was made around the same time for a cosmetic company. The #15441 Spiral Optic Vanity Set was introduced circa 1925. A Crockery and Glass Journal ad from this time period states that the set was available in amber, blue, green, and canary. This set has been found in all of these colors and all of the additional colors listed above. The perfumes set was sold with and without a matching tray. I believe that the #15441 style was made for a long period of time because this is the Milady set that is most often found. In 1926 the vanity tray was redesigned. 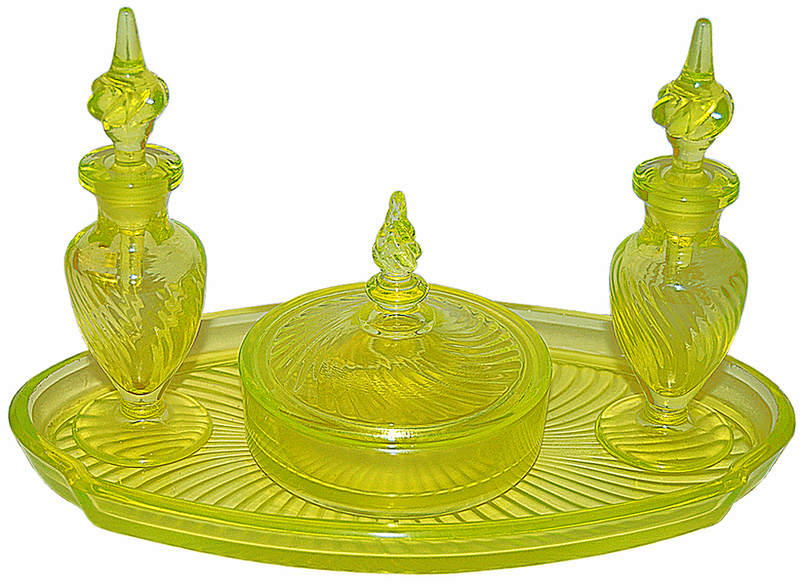 This version of the tray had an attached powder bottom and two circular rings that the perfume bottles rested in. The number of the vanity set with the new tray was #8851. 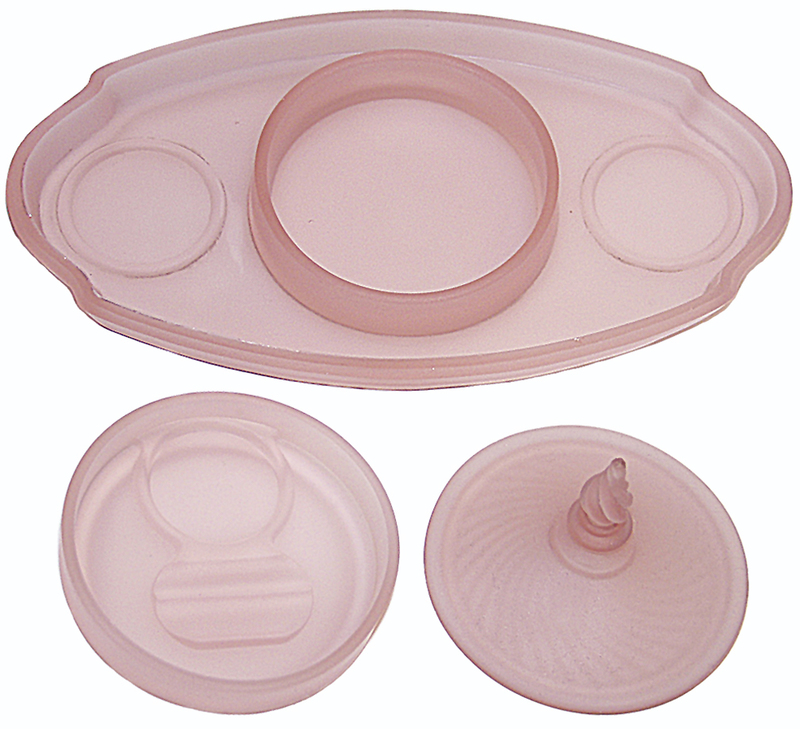 Trays have also been found with the two circular rings for the perfume bottles and a unattached powder box.